RemShutdown - Allows remotely shutdown network computers. RemShutdown allows remotely shutdown or restart network computers. You can specify a delay during which a message you specify can be displayed and applications running on the remote computer at the time of shutdown can be allowed to close. 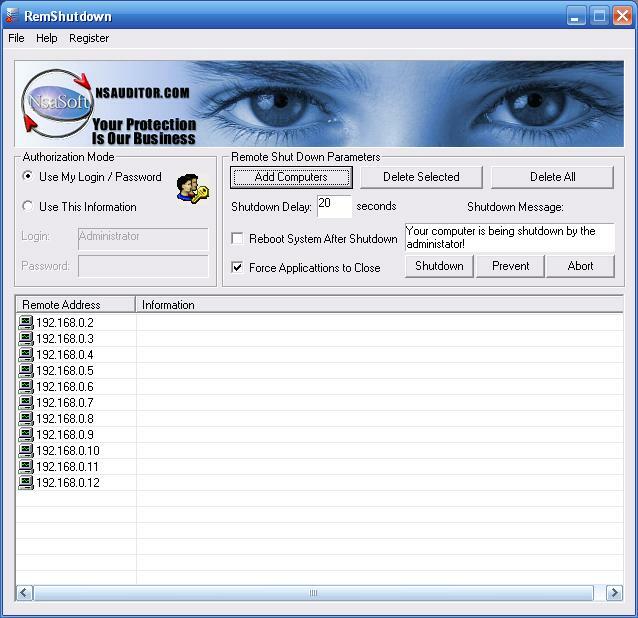 In addition, RemShutdown offers the user the option to cancel the shutdown. The tool is designed with a user-friendly interface and is easy to use.